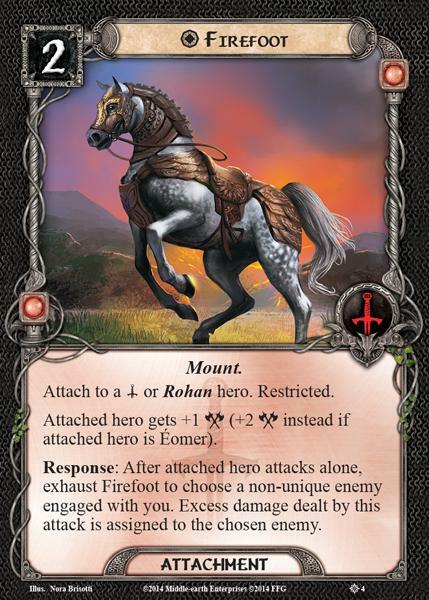 Attach to a or Rohan hero. Restricted. Attached hero gets +1 (+2 instead if attached hero is Éomer).